Shainav has been working with Amicorp since April 2013, out of Dubai office, before moving to South Africa in January 2019. During his tenure, he has worked on complicated investment and trading structures involving multiple offshore jurisdictions. He has been pro-active in developing markets in various African countries. 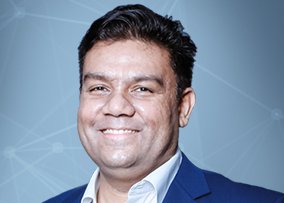 Before joining Amicorp Group, Shainav worked with Microsec Group and DE Shaw as Investment Banker, and played a key role in closing transactions values over USD 200 million. Shainav holds Management degree from ICFAI Business School (Hyderabad), and holds Business Economics degree from the University of Delhi.